Lucasfilm delighted ‘Star Wars’ fans with a glimpse of Carrie Fisher in sneak-peek footage of the hotly-anticipated final episode of the space opera — more than two years after her death. “Every day it hits me that she is not here but it’s so surreal because we’re working with her still... she’s in scenes,” Abrams told the rapt crowd at the five-day event in Chicago. Abrams said it would not continue the story exactly where the last one — 2017’s ‘Star Wars: Episode VIII - The Last Jedi’ — left off. 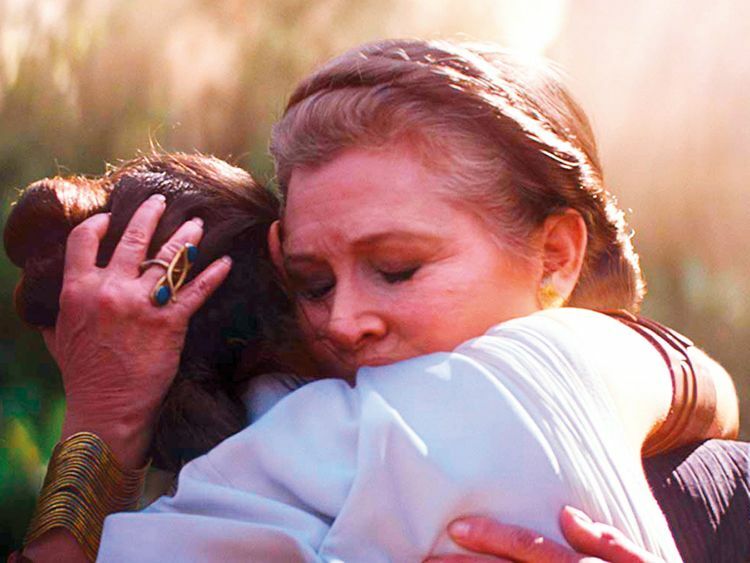 Leia was still alive at the end of 2017’s ‘The Last Jedi’ but the actress herself died a year earlier, in December 2016. Disney said last year Fisher’s role would be gleaned from previously unreleased footage from ‘The Force Awakens,’ with the blessing of her daughter, Billie Lourd. It is not the first time Fisher’s likeness has featured in a ‘Star Wars’ movie despite being absent from its filming. ‘Rogue One,’ a 2016 spin-off from the main series, directed by Gareth Edwards, had been in theatres for a couple of weeks when Fisher’s death from a heart attack was announced. Naomi Ackie as a character called Jannah and Richard E Grant are among the new faces, while old ‘Star Wars’ hand Anthony Daniels returns as C-3PO and Ian McDiarmid reappears as the dastardly Emperor Palpatine.